Companies with an annual turnover up to Rs 25 lakh might be exempted from the proposed national goods and services tax (GST). The Centre and states are likely to settle for this threshold as they finalise the GST laws. According to finance ministry officials, the draft of these laws is expected to be ready by the end of this month. The Centre and states are working on a mechanism to avoid dual scrutiny of companies by them. "The thinking now is that all legal entities with an annual turnover of up to Rs 25 lakh will be completely exempt. This will be applicable to one TIN (Taxpayer Identification Number)," said a ministry official. The government is looking to reconvene Parliament's monsoon session to get the Constitutional amendment Bill on GST passed in the Rajya Sabha. 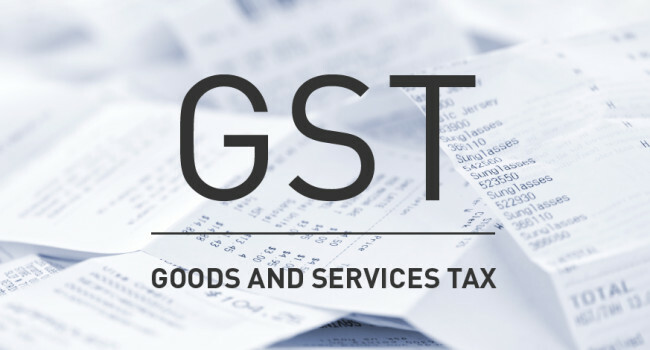 Three Bills - on the Centre's GST (CGST), states' GST and Integrated GST -would come up after the Constitutional Bill is cleared. Work on the drafts is on. States wanted a threshold of Rs 10 lakh to protect their revenue, while the Centre has assured them full compensation for five years. Besides, firms with an annual turnover between Rs 25 lakh and Rs 75 lakh will have an option to pay a flat rate of one per cent or GST rate. If they decide to opt for one per cent rate, firms will not get input credits because of which many, particularly dealers, may choose the GST rate. The exemption limit from value added tax and service tax across states - except the North-East - is close to Rs 10 lakh turnover. "There will be an impact on revenue but it will depend on how many under the Rs 25 lakh to Rs 75 lakh annual turnover bracket opt for the one per cent rate. If 60-70 per cent opt for it, there will be loss of revenue for states but they will also get compensated by the Centre," said Bipin Sapra, tax partner, EY. From the manufacturing point of view, it was important to keep the exemption limit higher, he added. While these are likely to be part of the GST laws, a final decision on this is to be taken by the yet-unformed GST Council. This is to be constituted within two months of enacting the Constitution amendment. It would comprise the Union and state finance ministers and will be empowered to take key decisions on GST. The idea is that entities with a turnover of up to Rs 75 lakh will not attract any checks or audits from either the state or the Centre. The Centre will give states a free run on compliance checks for companies with annual turnover above Rs 75 lakh and up to Rs 1.5 crore. "Here, the Centre will only do online scrutiny. And, if states detect non-compliance with respect to CGST, only the Centre will issue a notice. States cannot issue a notice on our behalf," said an official. However, in case of companies with annual turnover of more than Rs 1.5 crore, there will be concurrent audits by both the state government and the Centre. "The government is still discussing a mechanism of a risk-based selection so that the checks by Centre and states do not overlap," said the official. The government on Sunday made a renewed appeal to Opposition parties to help pass the Constitutional amendment through an extended monsoon session. It is vital that this be cleared at the earliest for the government to stick to the GST implementation timeline of April 1, 2016. The three draft legislations will lay down the fine print of the uniform indirect tax regime.